I just wanted to give you a quick update about some exciting progress at Almost a Game. 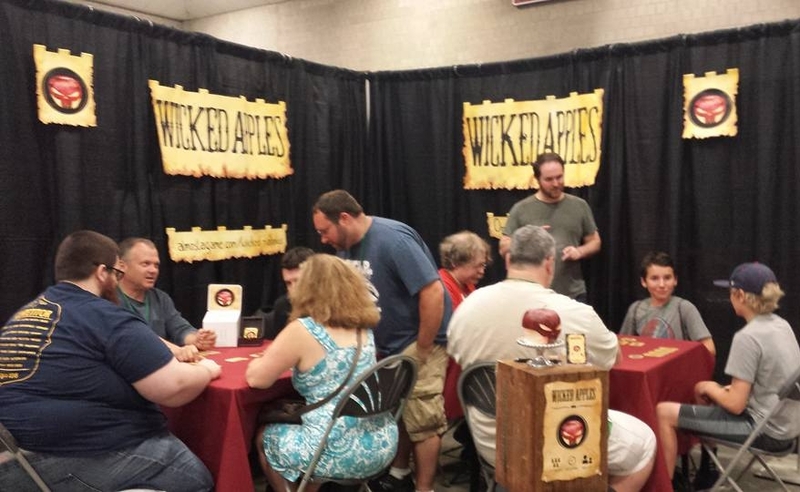 In the past few weeks I've been working to create a Wicked Apples FAQ I've named the Appledex. This will be the gathering place for all current and future questions about apple usage. So please, send your questions big and small and watch as the Appledex comes into full bloom! 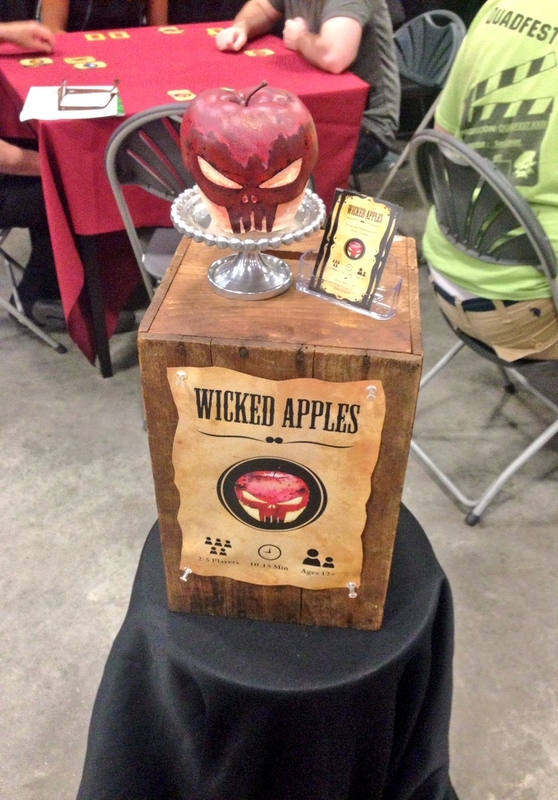 I'm also pleased to announce that Wicked Apples will be in stock once again at the end of the month. If you'd like to have a copy set aside please email us using the Contact page and we will notify you as soon the the shipment arrives. 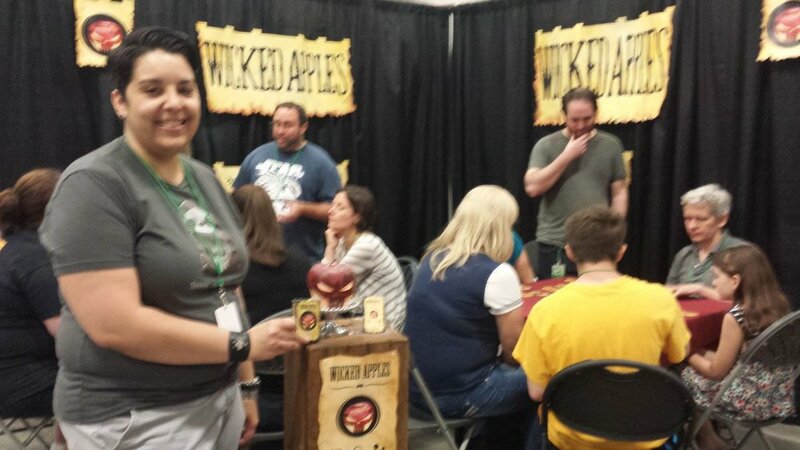 If anyone is attending PAX East in a few weeks and wants to check out Wicked Apples, it will be available for checkout in the PAX Tabletop area. I will also be roaming the PAX East halls, so send me a message if you want to say hi! PS - A big thank you to those who helped shape the Appledex. It's a great start and it will only get better from here. Hello there my wicked friends! It's been a few weeks and few conventions since we last talked, but a lot sure has happened since we announced we were going to PAX South. In that time we've made buttons, signs, website improvements (with more to come), sold out (again!) and made many new friends! So let's start this recap off with the wonderful (and sad) fact that we've sold out of all copies of Wicked Apples once again. It's been tough to keep copies around, especially after conventions. But fear not because we will be reordering again shortly. If you are interested in a purchasing Wicked Apples I recommend joining our waiting list by emailing us via the contact page. PAX South itself was an amazing convention. Not only was it my first PAX South, it was also my first time being a PAX exhibitor. 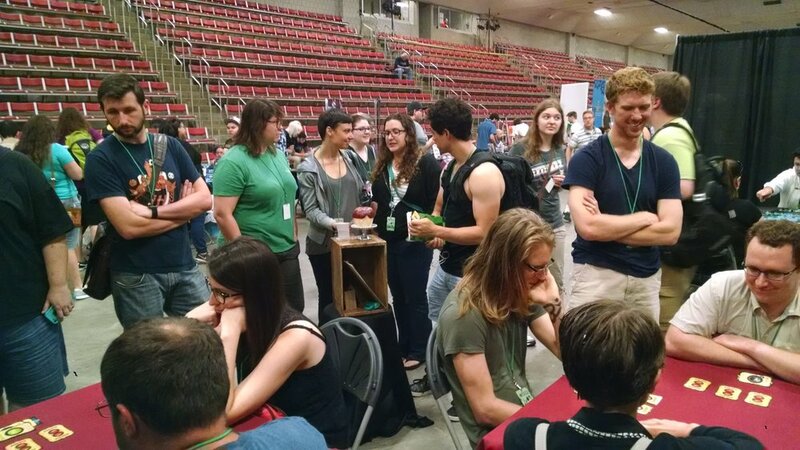 The Indie Showcase that we were part of housed 8 great games and the comradery behind the scenes was amazing. Just check out this crew! A special shout out to "Wheels" our enforcer (pictured above to the far right) who made sure everything ran smooth as butta. PAX attendees were also a highlight of this trip. Yes, you! We were often selling and signing in between (and during) game demos and everyone was extremely patient and understanding. Even during games friends and strangers were joking and laughing like they had know each other for years. This is what tabletop is all about. 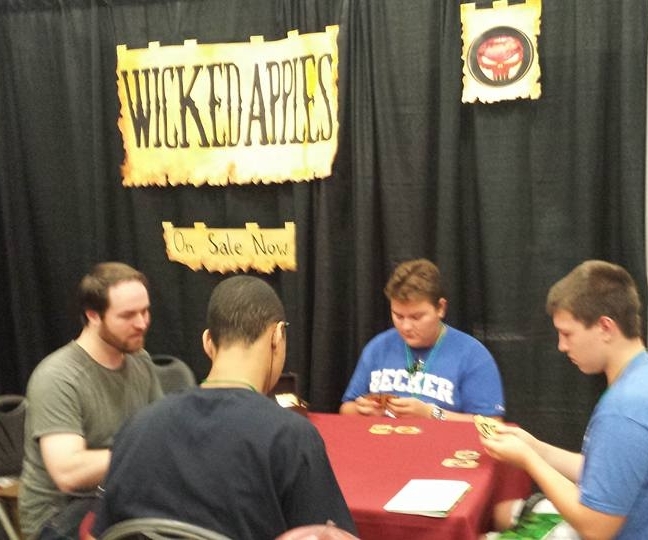 The past month-ish has seen Wicked Apples appearing at several local events including the new hot gaming convention in the New England area G2S and the award winning Castle. Both were amazing events and I'd highly recommend checking them out if you're looking for new ways to get your game on. 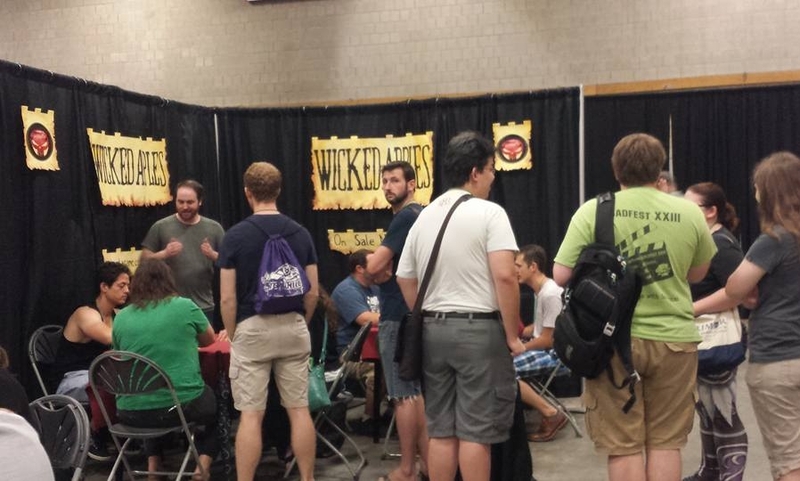 The G2S event featured a large free play area as well as several tables with a rotating cast of game designers. Due to the convention's success, they're poised to move to a larger venue and extend the event length to 3 days. For your everyday gaming needs there's The Castle in Beverly Massachusetts. 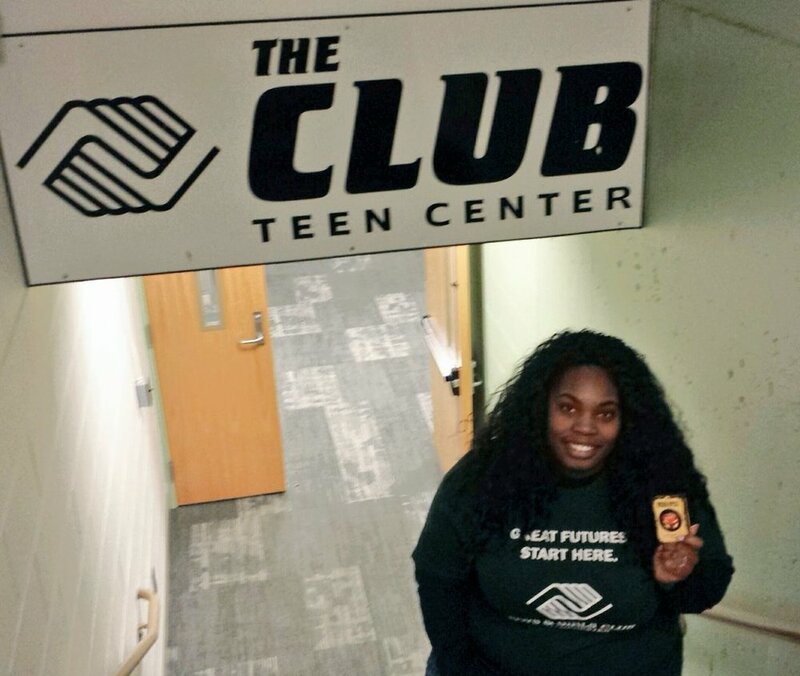 It's a great place to get together with friends and enjoy an evening of games. Plus they have food, drinks and a great atmosphere that makes you feel at home even when you're having a night out. I'll be getting back to game design blogs soon, so stay tuned. In the meantime live, love and game.